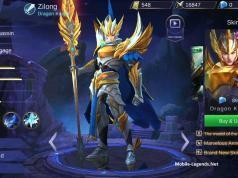 Balmond my old friend, really good fighter on Mobile Legends. You can choose when your team tank and also physical damage fighter for group. His specialties are Crowd Control and Regen don’t forget. Hey! 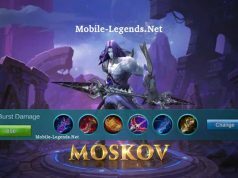 Have fun with playing Mobile Legends! On fighter build pls always remember ur passive skill. try to near enemy minions for fight/war on early game. Charges up to an enemy and deals 150/175/200/225/250/275 pts of physical damage to enemies along the way. After hitting the target, he will stop and lower that enemy\’s movement speed by 60%/60%/60%/60%/60%/60%, lasting 2.5/2.5/2.5/2.5/2.5/2.5s. This skill for u RUN or Open WAR. on early game Balmond easy for run out on enemy gank u. when Open WAR, always try to charge to enemy’s mage Heroes 1st. Raises a giant axe, dealing 350/500/650 pts plus 20%/20%/20% of target\’s missing HP as true damage to enemies in a conical area in front of the hero and lowers enemy movement speed <Num3>, lasting 2/2/2s. The most easy for use is this skill, XD. after u use jz walk around or follow enemy move. remember after u on this skill, u unable to use ur Skill 1 or SKill 3 (u still can use ur Battle Spell). but after u on this skill, after delay a second, u also can use again this skill for disable, so now u can use other Skill. Level 1: S2, Level 2: S1, Level 3: S2, Level 4: Ulti, Level 5: S2, Level 6: S1, Level 7: S2, Level 8: Ulti, Level 9: S2, Level10: S1, Level11: S2, Level12: Ulti, Level13: S1, Level14: S1, Level15: S1. 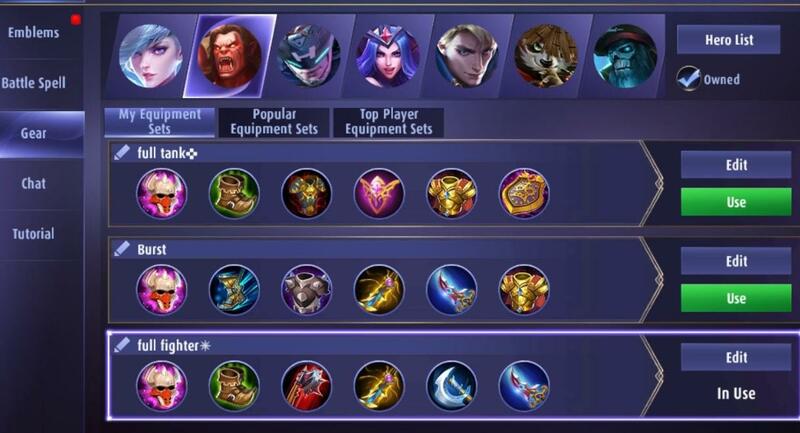 Note: Level 1 dont up S1, cuz if enemy is play 3 heroes on your lane, u still can use S2 for def. S2 also can help your teammate get the 1st buff. For me i always use “iron Wall”, even my team got a Tank hero, coz me is fighter build. so me can stay longer fight with enemy mage heroes. Petrify: when your team has not much CC skills, try to use this spell for help team fight. Execute: for faster kill one enemy and get your passive skill reg Balmond HP. My set 3 is for full fighter build. set 2 is half tank half fighter. This item is very good for him. faster killing creeps, and jz walk around enemy, also take damage to them. jz depend on ur enemy heroes. if enemy team got 3 or more mage, buy + magic def. 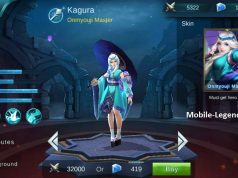 if enemy heroes have MM or Assassin, buy + armor. ATK, reg HP when your skills hit on enemy. also has CDR 10%. on late game, when any enemy have anti-heal item, pls sell this item(Bloodlust Axe), and but some DEF or ATK item. ATK, and when your HP drop below 30%, will give your hero shield 510-1350, for Balmond longer fight. This item will give Balmond skill 2 has Critical Hit. ATK, and + some HP, this item now is Best, with Balmond Skill 2, can reduce enemy armor. + ATK speed, for late game faster destroy Turrets. Note: Many stun/Knock up skills can STOP Balmond S2. Thank you for sharing “Jokar7“!